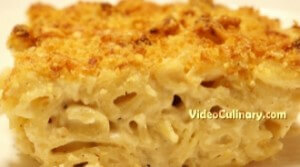 Macaroni and cheese (mac & cheese) is a traditional casserole dish. 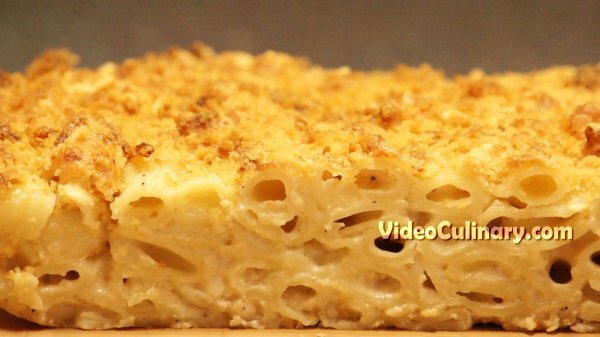 Make homemade baked macaroni and cheese sprinkled with breadcrumbs- from scratch. Thinly slice three cloves of garlic. 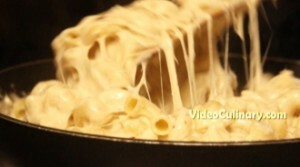 Melt 60 grams (2 oz) of butter in a heavy bottomed sauce-pot. Add the sliced garlic and cook for a minute. Add 50 grams (2 oz) of flour and stir to combine. 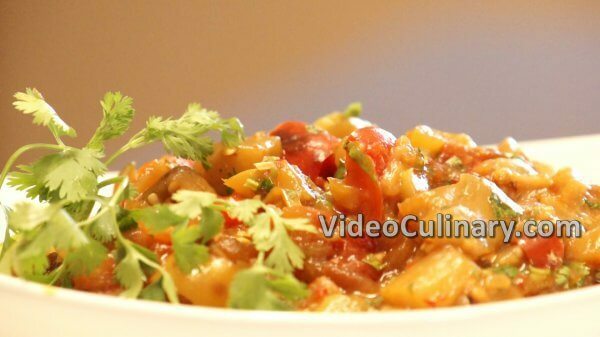 Cook over medium heat for a minute or two, stirring using a wooden spoon. 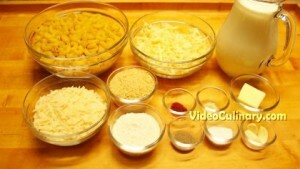 The butter-flour mixture (blond roux) should resemble wet sand. 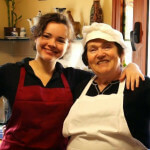 Turn the heat on to high, and gradually add 1 liter (1 quart) of room temperature milk, stirring constantly, until smooth. Bring to boil and reduce the heat. Add a pinch of nutmeg, one teaspoon of salt, 0.5 teaspoon of ground black/ white pepper, a pinch of paprika and stir. Simmer over low heat for 15 minutes. Meanwhile, bring 3 liters (3 quarts) of water to boil in a large pot. Add 3 teaspoons of salt. 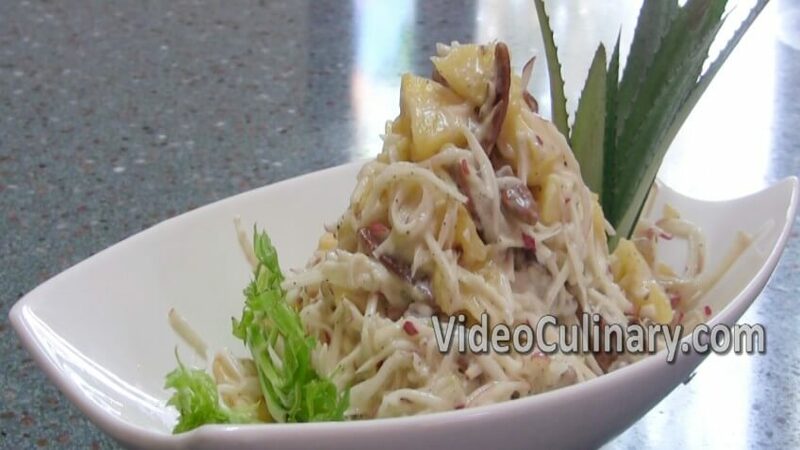 Add 500 grams (1 pound) of pasta and cook until it is almost cooked. Transfer to a colander and drain. 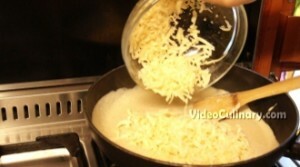 Remove the sauce from the heat (You might want to pass through a fine sieve- for a smoother texture), add 200 grams (7 oz) of grated sharp Cheddar cheese and 120 grams (4 oz) of Parmesan cheese. Stir until melted and smooth. Mix the pasta and the cheese sauce together. Transfer to a buttered casserole dish. Sprinkle with 50 grams (2 oz) of Cheddar cheese and 30 grams (1 oz) of Parmesan, and with 50 grams (2 oz) of homemade breadcrumbs. 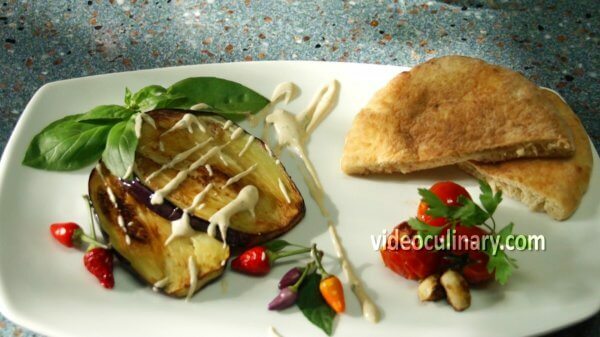 Bake at 180°C (350°F) for 30 minutes, until golden brown. Cool slightly and serve!